The do-it-yourself (or DIY) craze has become very popular among many people. Whether it’s tackling home repairs and renovations or working on cars, some folks today have decided they’d rather do things like this themselves than hire someone else to do them. Some people want to save money while others simply enjoy performing tasks like these. But in business, it’s smart to know when DIY makes sense and when it doesn’t. Finances and accounting are a good example. It’s not uncommon for owners of small and mid-sized businesses to think they can get by using an in-house bookkeeper to handle all of their financial and accounting tasks. This may work for a little while — but there is usually a point at which the business’ financial and accounting requirements go beyond a bookkeeper’s training and abilities. A good example of this is when your business is seeking to obtain financing, raise equity capital, make an acquisition, sell to a strategic buyer, or enter into a joint venture. In these scenarios, it’s essential that your financial, accounting and recordkeeping systems are up-to-date and documented to provide timely information that enables you to move quickly in order to meet tight timeframes and deadlines. § A lack of GAAP-compliant, accrual-based financial statements and related timely management reports. This will force you to work with inadequate information, which may result in a crisis when data is requested by a third party or required in order to make an informed decision on an internal project. § Inadequate understanding of your cash flow situation. Cash flow projections may either be non-existent or incomplete. This makes it difficult to make decisions on any projects that require significant amounts of cash, let alone to get assurance that routine business activities will be adequately funded. § A tendency to operate on gut instinct instead of hard data. Without a budget, 18-month rolling forecast or multi-year forecast to provide a roadmap against which to compare actual results, you won’t have the hard data you need to make informed decisions. § An inability to obtain answers to what should be fairly routine financial-related questions. If vital information is not readily available or current, you won’t be able to get answers for yourself or provide them to third parties. § Inadequate internal controls. Not having adequate expertise to evaluate the sufficiency of your internal controls can put valuable company assets at risk. § Incomplete loan packages or substandard financial statements. You won’t understand why lenders keep turning you down for loan requests. § Unawareness of issues related to debt covenants. You won’t be aware of these issues until after the fact because no one is looking forward and anticipating potential problems related to monitoring of and compliance with loan covenants. The out-of-pocket costs required to address these issues after the fact can be significant and exceed the costs that would have been incurred to address them in the normal course of business. And this is not to mention the opportunity costs of not being able to respond accurately and in a timely manner to information requests from those contemplating a transaction with your business. Your bookkeeper cannot be expected to perform the financial and accounting duties of a controller or CFO — he or she simply does not have the training or experience to do so. That’s why it’s smart to invest in this higher-level expertise ahead of time so you’ll be ready to respond when these types of scenarios arise. 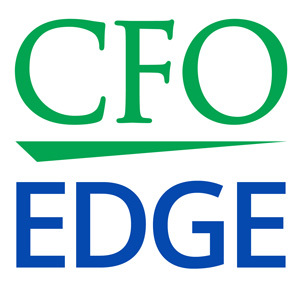 One of the best ways to do this is to hire an outsourced CFO services provider. An outsourced CFO will be able to implement accounting, monthly closing, forecasting and internal reporting policies and procedures as well as monitor, supervise and review the procedures to ensure that they are being followed on a consistent basis. This will enable you to have timely and appropriate information necessary to run your business better and enable you to respond promptly to lenders, investors and others who need accurate financial and accounting information regarding your business. DIY has become popular, but it’s smart to know when doing it yourself makes sense and when it doesn’t. Business owners sometimes think they can get by with DIY finances and accounting, but this can lead to problems when seeking to obtain financing, raise equity capital or enter into a joint venture. By implementing and reviewing accounting and internal reporting procedures, an outsourced CFO will enable you to provide timely responses to outside parties who need accurate financial and accounting information regarding your business. © 2011-2019 CFO Edge, LLC - This article is only for general information and should not be used in lieu of professional advice.